Best of 2015: Labels – The global community for audio culture. Here we celebrate the most popular record label profiles on Mixcloud, where labels host shows featuring artists from their roster to showcase their overall sound. 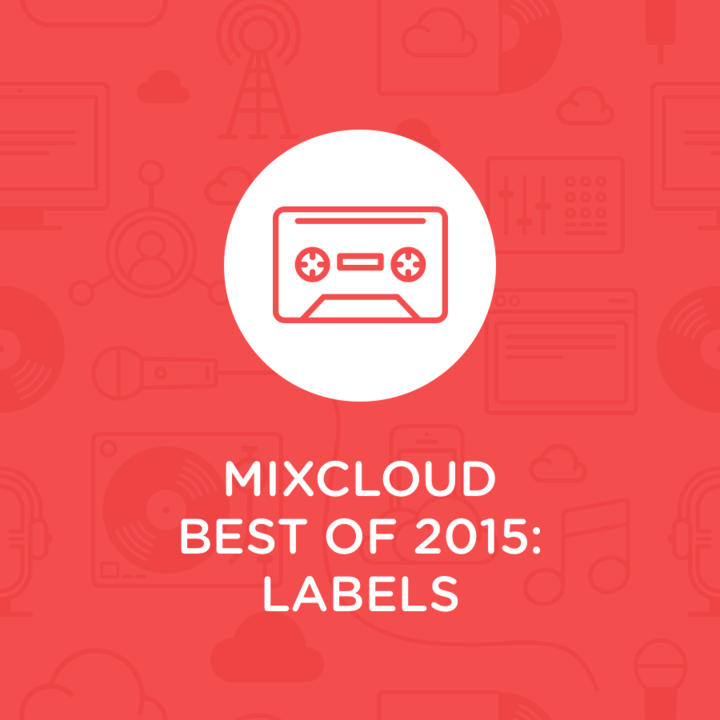 Mixcloud Best of 2015: Labels. Defected Records is one of the biggest and most respected brands in global dance music. Founded in London by Simon Dunmore in 1999, the label is now the recognised leader in house music with a solid history of delivering consistent hits and quality club records. Recently topping the UK singles charts with Storm Queen ‘Look Right Through’ and celebrating its 15 year anniversary in 2014, Defected has a rich vein of house heritage running through its veins. Their weekly radio show, presented by Sam Divine, mirrors the success of the label with weekly guest mixes from some of the most exciting artists around. Tru Thoughts is an independent record label that was founding in Brighton, England, in 1999 by DJ Robert Luis of Deeds Plus Thoughts and Paul Jonas and has released music by the likes of Bonobo, Quantic and Jon Kennedy. Tru Thoughts presents UNFOLD Radio presented by Robert Luis, is one of the most popular sources for world, electronic, beats & bass on Mixcloud. It’s a weekly show with guest mixes from Tru Thoughts artists, be prepared for the freshest tunes from the underground. Hailing from Berlin in Germany, Get Physical’s catalogue crosses national and stylistic borders from the classical – techno compositions of Luxembourg superstar pianist Francesco Tristano to the no-nonsense body-movers produced by crowd pleaser German Brigante. The line up also includes Greek rising star Alex Dimou, the classic old school house legends Roach Motel and DJ Pierre and Get Physical Music mainstays, with a stellar track record, M.A.N.D.Y. and DJ T. Categories and borders fade away as Get Physical embraces the global electronic community as family. Check out their radio shows. Hospital Records is an independent record label based in South London. Primarily releasing Drum+Bass, the label was started in 1996 by Tony Colman and Chris Goss and has grown in recent years to become one of the most well known labels within UK dance music. The label is home to artists such as High Contrast, London Elektricity, Danny Byrd, Mistabishi, Logistics, Nu:Tone and Cyantific, but also releases tracks from a whole host of other artists across the D+B genre. From its HQ in Forest Hill, South London, Hospital also runs the more experimental label Med School, as well as publishing company “Songs In The Key Of Knife” and their worldwide events brand “Hospitality”. With a massive 19 UK Singles Chart No.1’s since the 90s, Ministry of Sound Recordings is behind the biggest, genre-defining hits of the last 20 years of dance music. Now home to a growing roster of platinum-selling and Brit Award-nominated artists including: London Grammar, DJ Fresh, Example and Wretch 32. The artist division of Ministry of Sound began life as an extension of the club and compilations division in the early 90s. Under their Sound of Ministry imprint, they began releasing future classics such as “Who Keeps Changing Your Mind” by Southstreet Players, “Voices in my Mind” by Voices and singles from US house legends Todd Terry and Junior Vasquez. To get to know the label and what they represent, there’s no easier way than listening to their radio output.